Currently shaking the hip-hop world are two mixtapes, both surprises, released less than two weeks from each other. 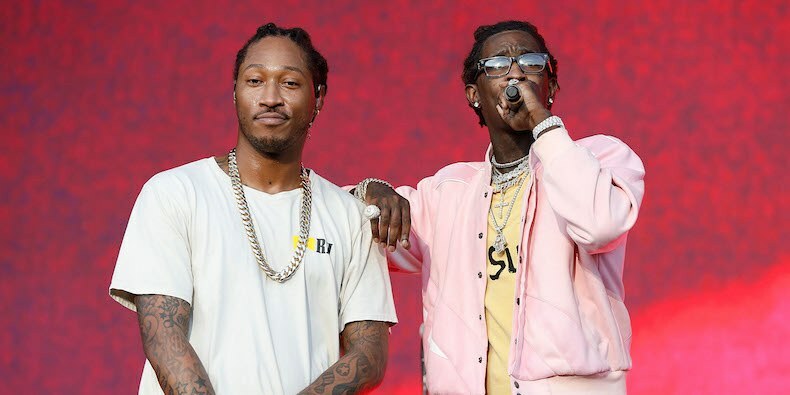 Super Slimey, a dual effort from Young Thug and Future, came guns blazing on October 20th of this year. More recently, 21 Savage, Offset (of Migos), and Metro Boomin’ hit with hard, haunting vibes on October 30th’s Without Warning. All five artists are superstars of the Atlanta rap scene, and all five have rose to prominence in the past five years. It is worth noting that Metro Boomin’, to clarify, is a producer and not a rapper. They are all undeniably part of the “New School” scene of hip-hop music. This means that they do things differently than the rappers who have been in the industry for a long time. These artists are known for breaking tradition, usually to great success and acclaim. Upon looking at and listening to the two new releases, the question arises: what holds these mixtapes back from being albums? What is the difference? The tradition of the mixtape has, in the past few years, undeniably changed. Rap’s iconic “mixtape” has seen several iterations over the genre’s four decade history, but today it is arguably in its most ambiguous state. Expensive beats and high profile features define the modern mixtape, which used to be a vehicle for lesser known emcees to advertise their talents over cheap or borrowed instrumentals. Albums have traditionally been the driving sales generators for major labels, pumping out singles and radio friendly hits. Though this still remains marginally true, every so often mixtapes come along that heave more weight than most albums. Drake’s If You’re Reading This It’s Too Late is a prime example of the kind of chart power a mixtape can have. So, though the difference between a mixtape and an album is somewhat defined — mixtapes are independent and albums are label releases, their traditional roles have definitely blurred. Thanks to streaming sites like Spotify and SoundCloud, labels are simply not needed for artists to gain exposure. Social media presence is often a key factor in a young rapper’s rise to prominence, (e.g., Lil Pump, XXXtentacion), and it has allowed artists to forgo the advertising that labels can provide. Thus the album has essentially become more obsolete in rap thanks to the myriad of outlets new up-and-coming artists have to feature their work. Though the tags of ‘mixtape’ and ‘album’ may never recede from the genre, the two have become equals to the ears of listeners.